Joe Garces, CEO of Robert Piguet Parfums, at the gala party honoring the 65th Anniversary of Fracas, Robert Piguet’s mythical and run away best selling fragrance. Held at The Hotel Sheraton Diana Majestic in Milan during the week of The 5th Edition of Esxence, international salon of artistic niche perfumery, Joe’s Saturday night party was the social highlight of the salon. 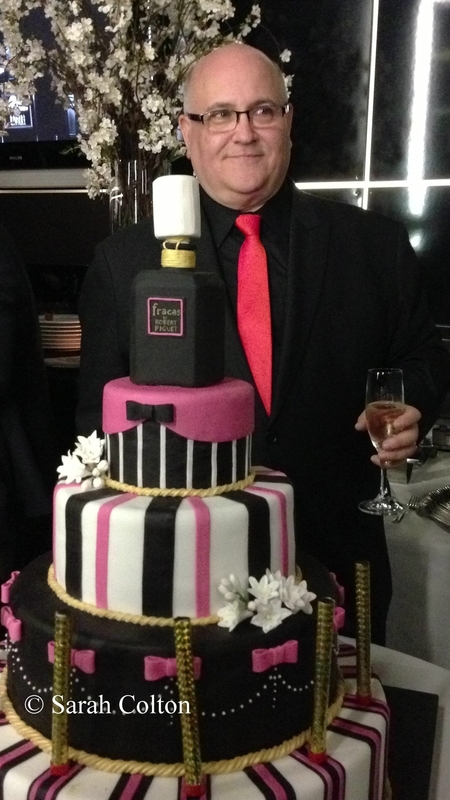 At the cake-cutting, Joe said: “It’s a very special occasion for our brand. And it’s a testament to the Robert Piguet legacy that 65 years after its launch, Fracas is still a relevant and important fragrance.” For more details see Beauty Fashion Magazine, April 2013.